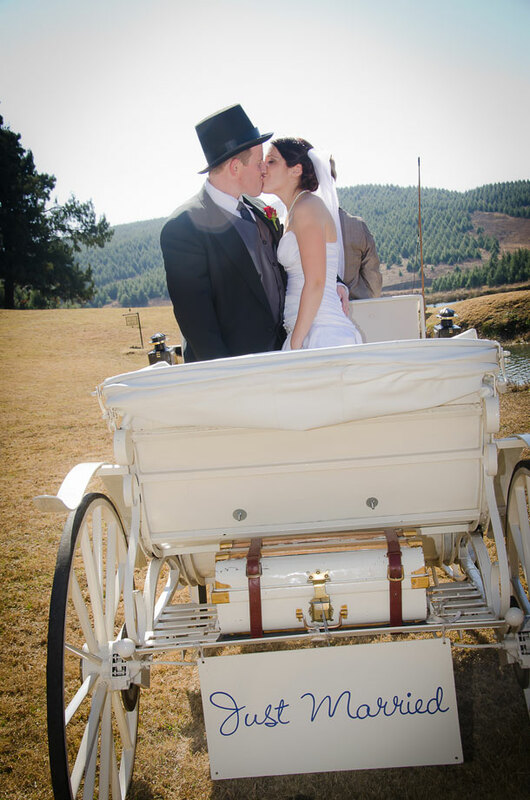 If you are looking to be transported (quite literally) to your own fairy tale wedding in something from a story book then book your ride on a Crab Apple Wedding Carriage. This extra special touch will add that little bit of magic on your day. While you sit in the French Victoria Carriage with ivory and brass fixtures you’ll feel even more glamorous that you already do. Helen and Barend’s passion for horses is great, they have 8 horses on their property and have always enjoyed riding and playing with them. In 2004 for Christmas, Helen was given her own turnout which is a carriage, trained horse and all the other items she needed. Their competitive carriage driving lead them into the wedding market as requests came in for weddings and prompted the development of Crab Apple Carriage. Bridesdale Robin Hood is a Connemara x Arab from the Sire Kilshane Christopher Robin and is a chestnut with a white blaze and gold socks. He has been through extensive training and is currently competing. He is pulls the French Victoria carriage for weddings and special occasions. Baloo is a 16 ha dapple gray fresian cross gelding. This gentle giant is a gentleman and the perfect celebration horse which is why he will be pulling the French Victoria Carriage. He has just finished his training and has started competing. 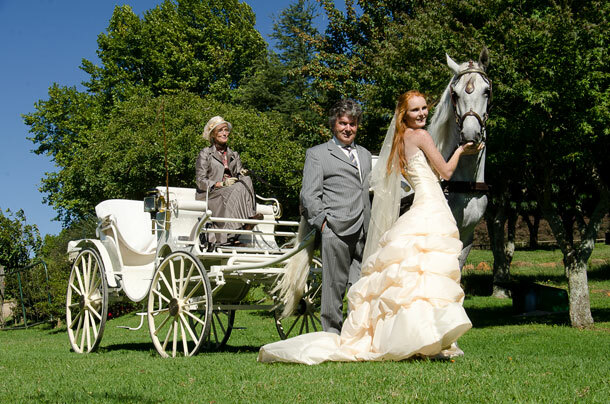 To book this carriage telephone Helen on +27 (0)86 424-1033. Alternatively for further details or to send an enquiry visit Crab Apple Wedding Carriage.